There are 3 holidays to The Milky Way Ski Area for 2 adults, 0 child and 0 infant. 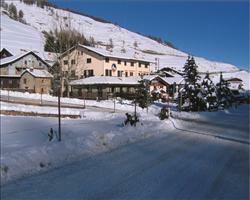 In the Milky Way ski area you can find some great value apartments in ideal locations for both skiing and après-ski. Groups looking for somewhere in the middle of the party scene would enjoy the Max Bar Apartments in Sauze d’Oulx, next to one of the lively après spots and a short distance from the lifts. The Olympic apartments in Sestriere are also in an ideal location and offer everything you need for your holiday, just a minutes’ walk to the nearest ski lift, brilliant for families who don’t want to travel far to get out on the piste. For a more authentic alpine setting, Les Hameau des Airelles in Montgenevre offer stylish accommodation for a touch of luxury at great value, just a short walk to the ski school meeting area. Some of our high end apartments have wellness facilities for that touch of luxury, so you can easily wind-down after a long day on the slopes. All our apartments are self-catered and paired with flights and transfers or channel crossings. You also have the option to book accommodation only by selecting independent travel. 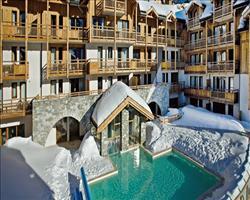 Apartments are usually the cheapest way to ski if you don’t mind catering for yourself. They can be ideal for families and groups with different tastes and dietary requirements as it gives you the ability to cook for yourselves. There are a number of shops around the towns where you can find everything you need including local delicatessens selling local home-made ready-meals. Of course cooking for yourself isn’t mandatory - self catering also gives you the freedom to try some of the delicious Italian and French cuisine in one of the many restaurants in the Milky Way resorts.